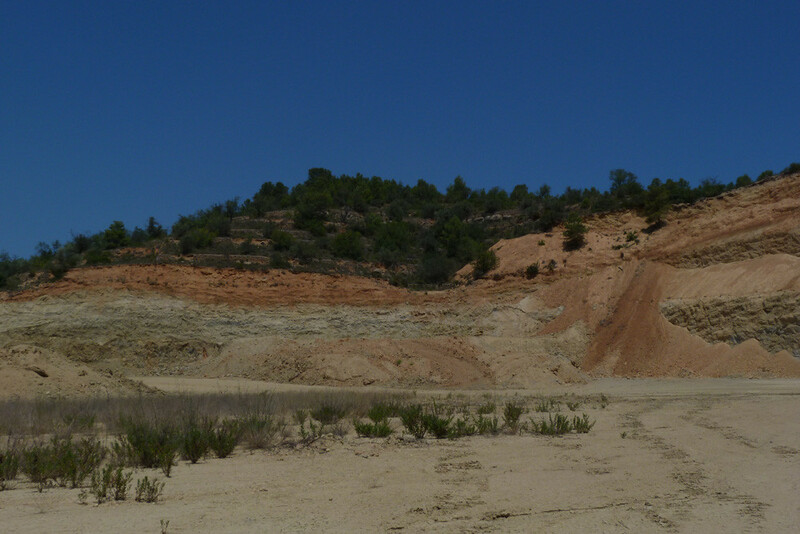 The Ecorest Clay project consists in integrated ecological restoration of seven clay extraction sites in a mining space of 80 hectares in the Bajo Ebro area in Tortosa. 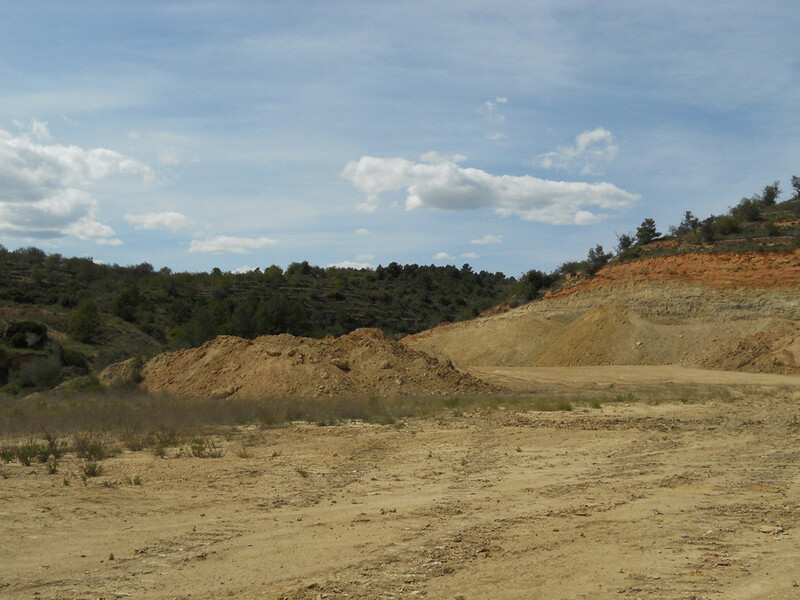 The restoration of the Campredo quarries will take advantage of clay which will give way to ecosystems full of life and provide important services to society: flood control, climate stability, pollinizing insects that will be beneficial to agriculture and wildlife, recuperation of natural habitats, diverse landscapes with flora and fauna as well as many other benefits. Conventional mining restorations – consisting of platforms, uniform steps, terraces, banks and drains, performed their function in the past, although they have been demonstrated to be severely limited. The main problem comes from a lack of establishing geomorphic and hydrologic stability, both in the short and long term, which gives rise to intense erosion, making the development of soil and vegetation difficult. Conventional restoration does not result in adequate landscaping integration of the environment. 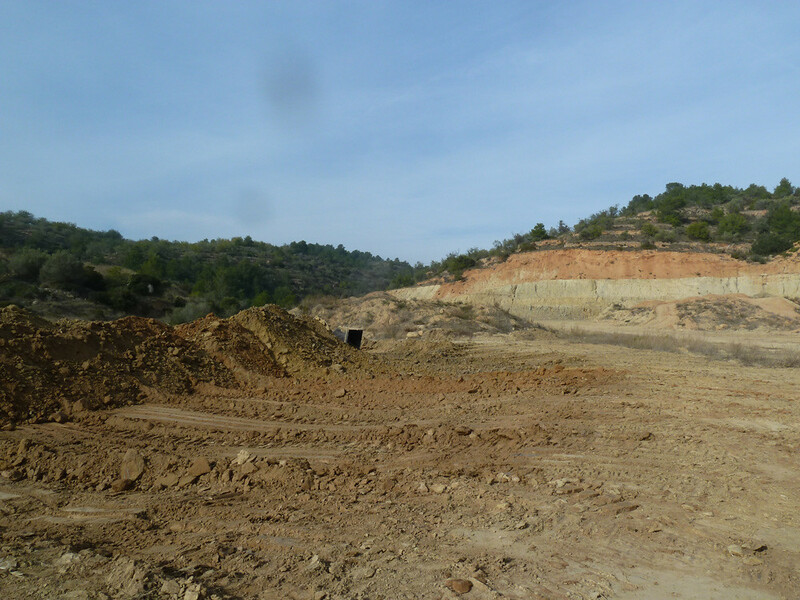 The Ecorest Clay project is based on the idea that mining areas can be restored and become functional ecosystems that serves society. The basis of everything is to create stable reliefs that prevent erosion. The application of the new Geo-fluv method permits the construction of stable reliefs which take into consideration the natural surroundings by generating landscapes of hills and valleys that sinuously connect lakes to the Roca-Corba canyon. There will not be constructions of tips or terraces so commonly created in traditional restoration models. A permanent lake that regulates swells from Roca-Corba canyonGiven the characteristics of the land, the central part of Pastor 1 will contain a permanent man-made lake that channels part of the flow from the canyon to its interior. It will also permit the regulation of swells generated by the Roca-Corba canyon, which has occasionally caused flooding on the C-42 highway. The rejected materials of the exploitation and the planting sod combine to make soil with the capacity to regulate the water and mineral elements that different types of vegetation need. Vegetation will be established through diverse techniques in seeding, planting and will at the same time favour the spontaneous growth of plants from the area. Aleppo pine forests will grow alongside Mediterranean bushes in the hills and valleys. Other vegetation will grow on the sides of ponds and lakes. The diverse environments generated will combine forestry and aquatic systems, provide shelter and feed the fauna, slowly reestablish animal life back into the area: from amphibians, reptiles, birds and mammals to numerous groups of insects and other small organisms. Cemex Restaura will dedicate special attention to some protected bird species that are capable of taking advantage of the environment designed specifically for: warblers (spectacled warbler, Datford warbler, Sardinian warbler and Western Orphean warbler), bee-eater bird, black wheatear, owl, and red partridge. 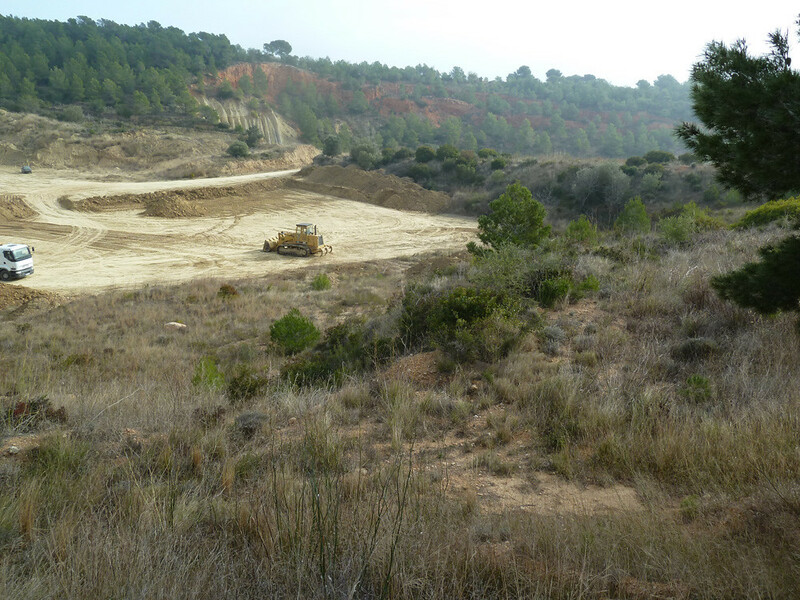 Cemex Restaura also tries to set as an example of natural resource management and taking advantage of the rejected topsoil and seeds present in the same mining area to distribute the maximum number of local organisms and plants in new restored zones.